CHRISTMAS came very early for one Chesterfield care home after a local supermarket donated unsold decorations. Two enormous Christmas trees and bags of different coloured baubles were given to Barnfield Care Home just two weeks into the new year. The festive decorations were left over from the Christmas sale at the town’s Clay Cross Tesco Extra store. The supermarket’s community champion, Jess Maidens, decided to donate them to the care home for Christmas 2018. 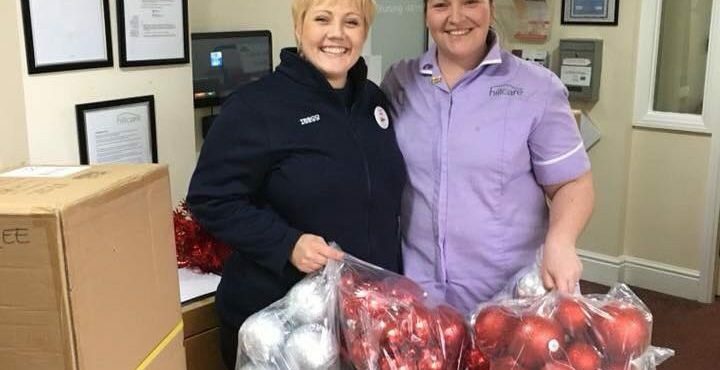 Rachel Furniss, activities coordinator at Barnfield Care Home, on Heath Road, said: “We felt like Christmas came very, very early when we got the trees and decorations from our local Tesco. “The residents and staff were delighted to receive the two huge, eight-foot-high trees and lots of baubles, despite Christmas having only just passed.